On today’s Flash Back Friday we go all the way back to episode 22 with Anne Bruce. Jason Hartman talks with Anne Bruce, author of 14 books, including Speak for a Living: The Insider’s Guide to Building a Profitable Speaking Career, and Discover True North: A Program to Ignite Your Passion and Activate Your Potential, Motivating Employees. Throughout her career, Anne has gone from being a best-selling author of human behavior, leadership, and motivation, to an inspirational force and a respected specialist, speaker, and trainer in human development and personal enlightenment. 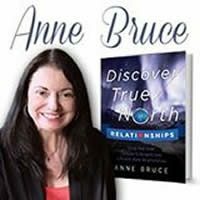 Anne’s no-nonsense style has helped thousands of people Discover True North and learn to author their own life story.